It’s Summer Job Season- Do You Know How to Stay Safe? School is ending, the weather is getting warmer and seasonal work is starting in Boston. Restaurant News reports that the construction industry is the nation’s largest creator of summer jobs, and the restaurant industry is the nation’s second largest source of summer employment. Construction is a dangerous industry, with 19.3 percent of fatalities on-the-job in 2012 occurring in this field. As the Occupational Safety and Health Administration reports, there were 806 deaths among construction workers nationwide out of 4,175 total fatalities. This means that the risk of death is higher in the summers as construction projects ramp up both on roads and also on new buildings and renovations. If both workers and employers make safety a priority, hopefully employees throughout Boston will have a summer with few workplace injuries and deaths and will make it safely through to the fall season. 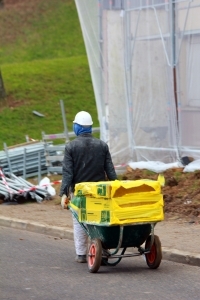 Ohio State University provided information on preventing workplace injuries during summer jobs. According to OSU, there is a popular system for controlling hazards in the workplace that is called the “Hierarchy of Control.” The system identifies five levels of controlling hazards, starting with the most effective way to reduce workplace injuries. Elimination: Removing the hazard completely from the workplace. In some cases, it is possible to entirely remove dangerous conditions or risk factors. Substitution: Using a safer alternative material, piece of equipment or tool. For example, old and faulty equipment is dangerous and an unnecessary hazard. It could be removed from the worksite and replaced with new equipment with modern safety features. Engineering controls: Adapting equipment and tools to make them safer and reduce the risk of use. Using machine guards and ground fault circuit interrupters would be an example of engineering controls. Administrative controls: Enhancing the training that employees receive; altering work practices to make them safer; or standardizing the procedures used in the workplace. Personal protective equipment (PPE). This includes the use of hard hats, safety goggles, fall protection systems and other equipment. As this list makes clear, the most effective steps towards reducing the risk of workplace injuries need to be taken by employers. This means that while workers should learn summer safety tips to reduce their risk of injury, the ultimate responsibility lies with those who hire summer workers. It is these employers and their insurers who will become responsible for paying for damages and losses when a work injury occurs and a workers’ compensation claim is made for benefits.